We love pets and have our own as part of the family but at times it can be challenging having them indoors. Pet odor and stains are a common problem and if left untreated it can cause permanent and irreversible damage to carpets and upholstery and lead to an unhealthy indoor environment. A pet stain is much like an iceberg, what you see on the surface is only the tip of it. Once deposited on the surface as it penetrates the backing, padding and sub-floor it spreads outward. ​When urine is first deposited it is on the acid side and then turns to alkaline salts. These alkaline salts attract moisture and this is why the odor is more prevalent during times of the year when the humidity is high. For mild pet odors a surface treatment and cleaning may be all that is needed. For moderate pet odors a sub-surface treatment and sub-surface extraction may be required. For severe cases, replacing the pad, cleaning and sealing the sub-floor, treating and cleaning both sides of the carpeting may be required. Remember.... the longer these areas are left untreated the higher risk of permanent damage to dye structures of fibers and fabrics. ​Smell from pet dander that makes your home smell like a wet dog.....Absolutely Kleen can take care of that. 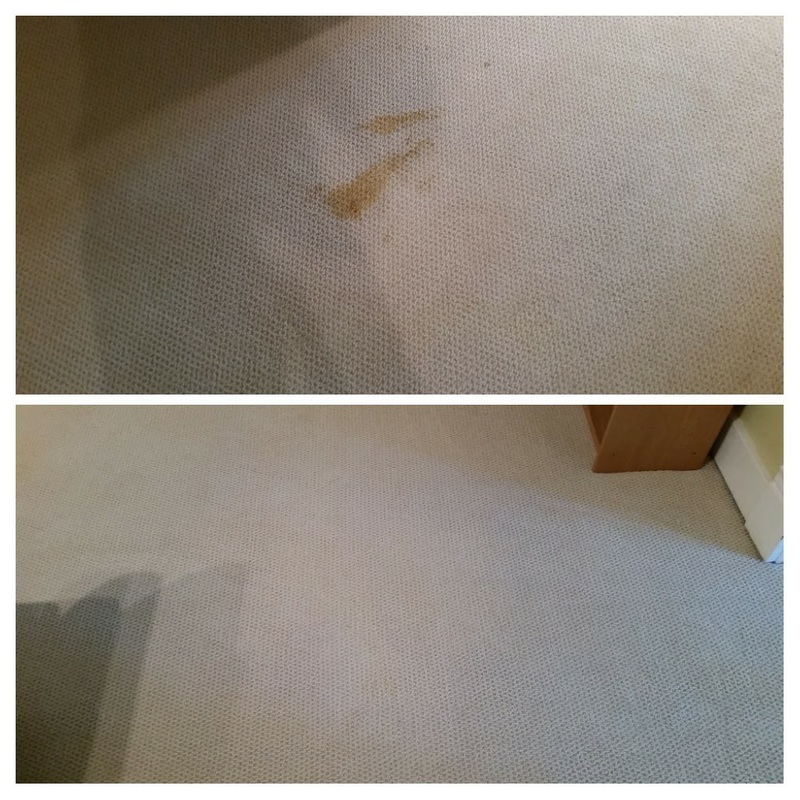 Pet dander and pet hair in your carpets can make your whole house smell like a wet dog and just regular steam cleaning won't get rid of the odor. The worse thing you can do is to load your carpets up with those powdered fresheners. Give us a call and we will survey the carpeting and give you a free estimate.